I design a range of silk scarves using the methods of batik and dip dyeing to produce a variety of colours and patterns on medium weight silk with hems which are hand sewn. 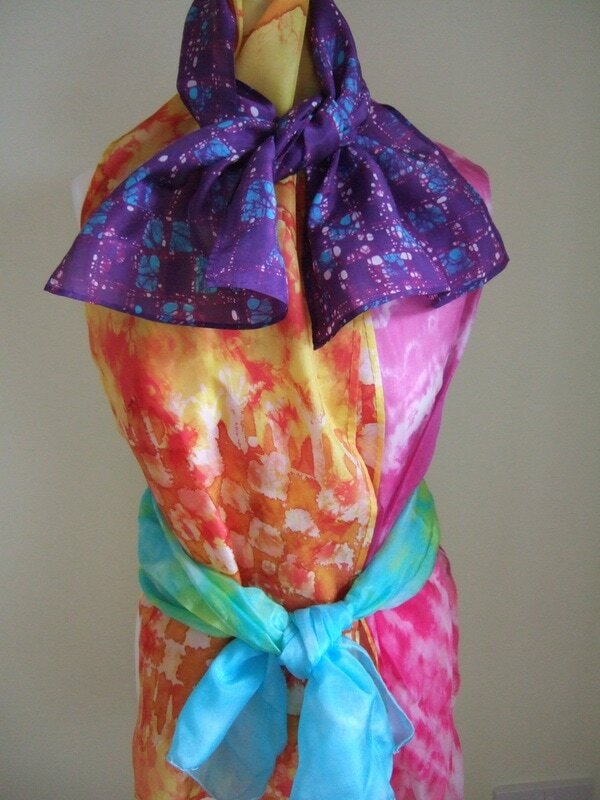 Tie dyeing and silk painting is used on lighter weight silk to produce different colours and patterns. Scarves should be hand washed only and every scarf is unique. I sell directly from the Focus Craft Fairs and can be contacted in person at these fairs.